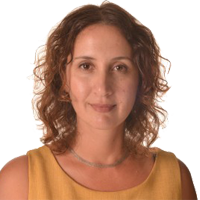 Efrat Eizenberg is an environmental psychologist and an assistant professor at the Faculty of Architecture and Town Planning, The Technion, Israel. Her research topics include urban nature and landscape perception, planning with communities, urban regeneration, urban struggles and the politics of space. Among her publications are articles at the International Journal of Urban and Regional Research, Antipode, and Cities. Efrat is the Author of “From the Ground Up: Community Gardens in New York City and the Politics of Spatial Transformation”, published in 2013 by Ashgate. She completed her PhD in the Department of Environmental Psychology at the Graduate Center of the City University of New York in 2008 and her Post Doctorate at the Planning for the Environment with Communities research lab (PECLAB), in the Department of Geography and Human Environment, Tel Aviv University in 2011.